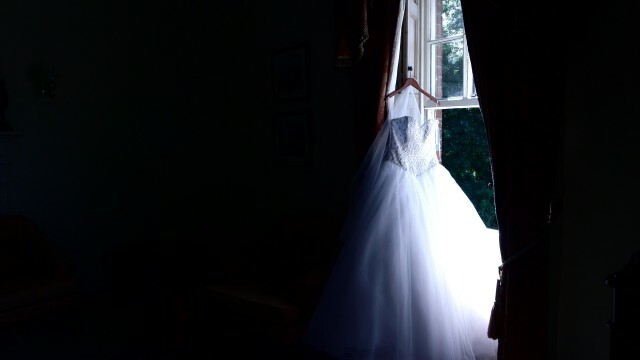 We started the day off nice and early to capture both the bride and groom getting ready. The groom and all his groomsmen were nice and calm until Lee received a stunning card and gift from his bride to be.....Very emotional time! 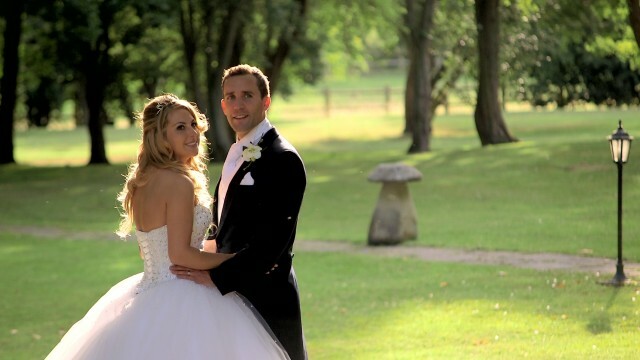 The bride also had received a lovely gift from her soon to be husband and also a piece from 'the sun' newspaper'!! 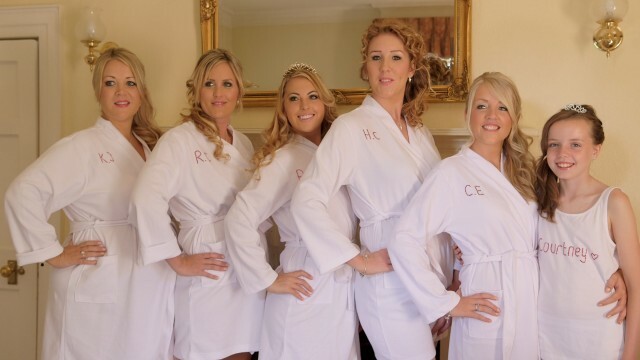 Terri's hair was already perfect when we arrived, but her make up was soon to be done by the lovely Kelly Holland...They chose a smokey eye colour with baby pink lips... 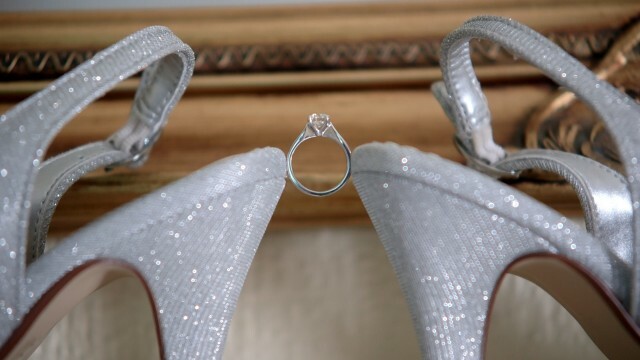 Simply stunnning! 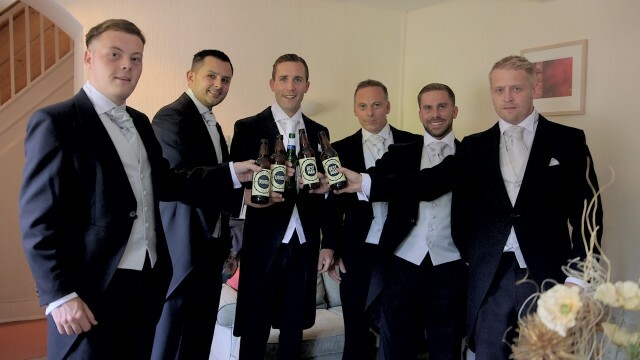 The groomsmen looked just as amazing in their dark suits and started the celebrations with bottles of 'personalised' lager! 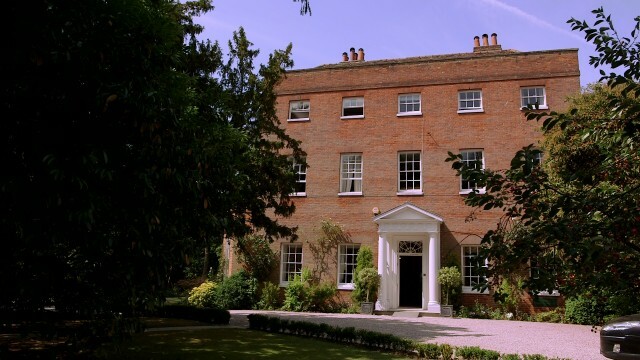 With five bridesmaids to get ready, one of which we were lucky enough to film their wedding at Friern Manor last year, it was still very calm and relaxed. 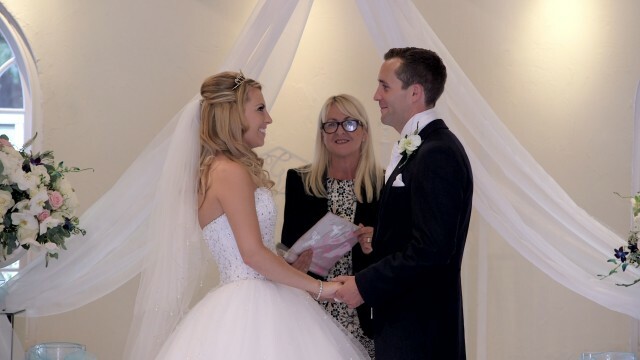 When Terri was ready and her Dad see her for the first time as a bride, we moved down to the ceremony room to capture their vows as they became the new Mr & Mrs Clapton.. 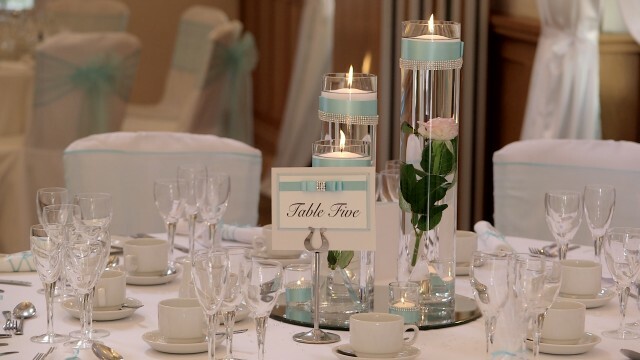 The wedding breakfast room was decorated in soft floaty fabrics with twinkly lights and a touch of light blue/green. The attention to detail was amazing.. 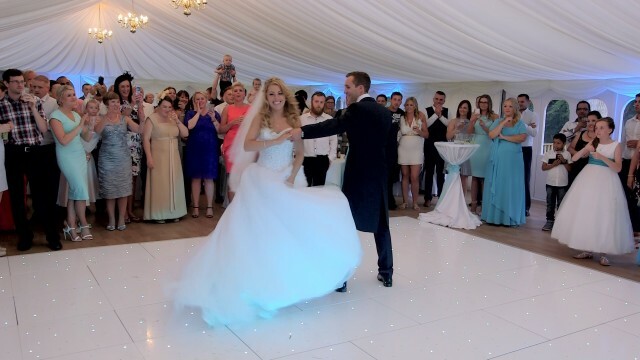 The bride & groom cut into their beautiful cake and started the evening off with their first dance to Ed Sheeran, Thinking out Loud as we continued to capture some very entertaining evening celebrations!! 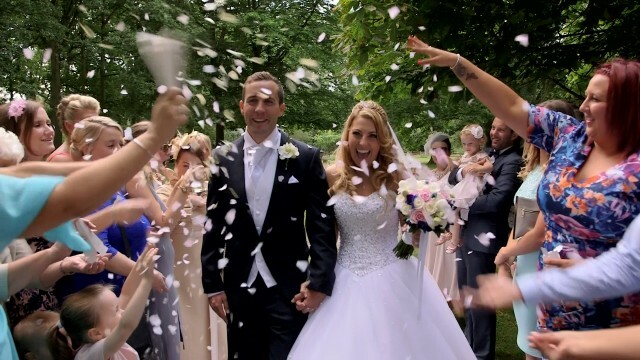 We wish the new Mr & Mrs Clapton all the very best and thank you for choosing us as your wedding videography Essex service.